Material Girl Goes Behind The Scenes Of Madonna's Epic Superbowl Halftime Show! There is no doubt that Madonna SHUT IT DOWN at the Superbowl last night during her Bridgestone Halftime show! The Material Girl made an entrance fit for a Queen of Pop as hundreds of strapping gladiators pulled her in for her twelve minute performance. Madge showed the world yet again why she will always be a legend while silencing all her naysayers. I was so happy that the world got to see Madonna doing what made her Madonna! Not only is Madonna a pop icon but she also has her hands full with other projects like Material Girl, a clothing line with her oldest daughter Lourdes. 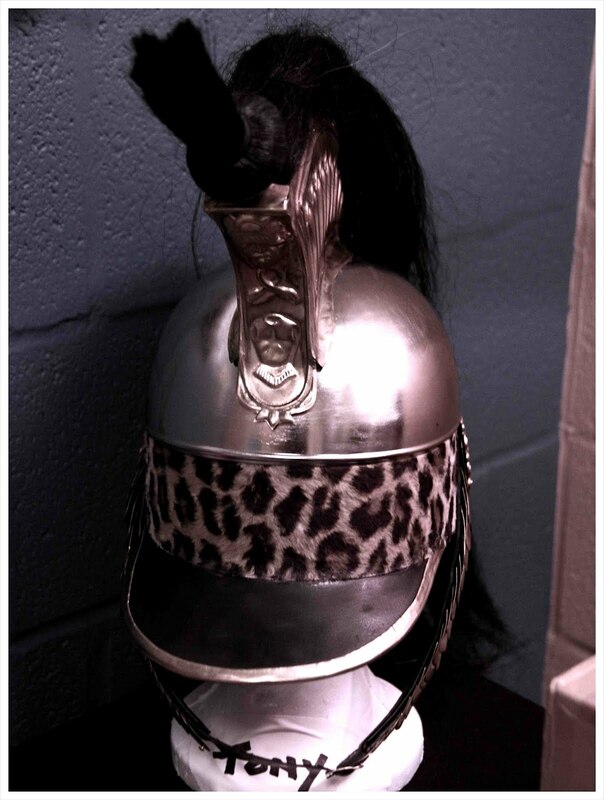 Last night Material Girl received some awesome behind-the-scenes images of Madonna’s dressing room, sent to the brand by the Material Girl herself!! Material Girl was nice enough to then share them with OJ&B for all of my guys and gals! Check out the photos from backstage before the epic show! Above: The gladiator guys goofing off in their Calvin's before they march onto the field. 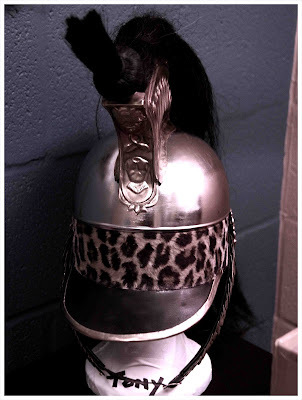 Above: One of the gladiator guys hats waiting to be put on before the show. 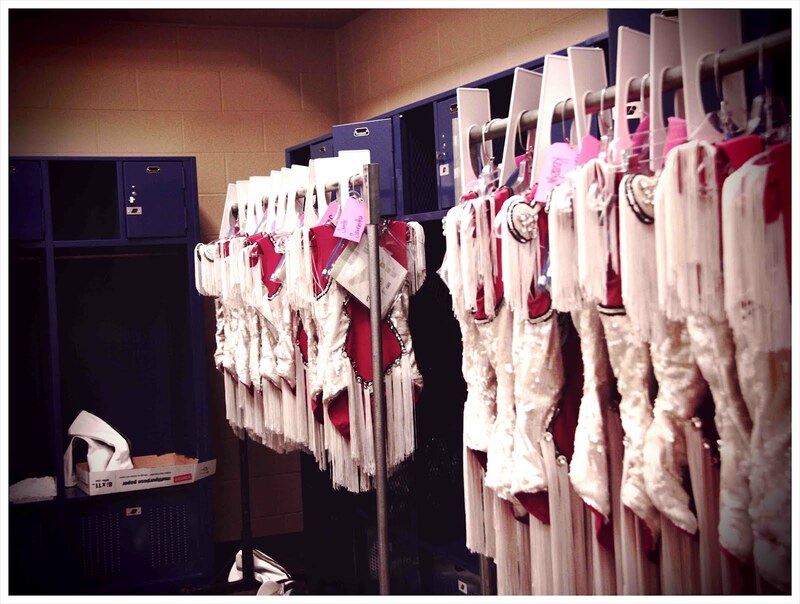 Above: The cheer girls outfits before they are rocked out on stage to Madonna's latest single, "Gimme All Your Lovin." Below: The breakdancers costumes that they guys wore while Madonna performed her hit "Music." Congrats to Madonna and her entire team for killing it last night and thanks to Material Girl for the photos! OJ&B loves seeing exclusive behind the scenes shots. 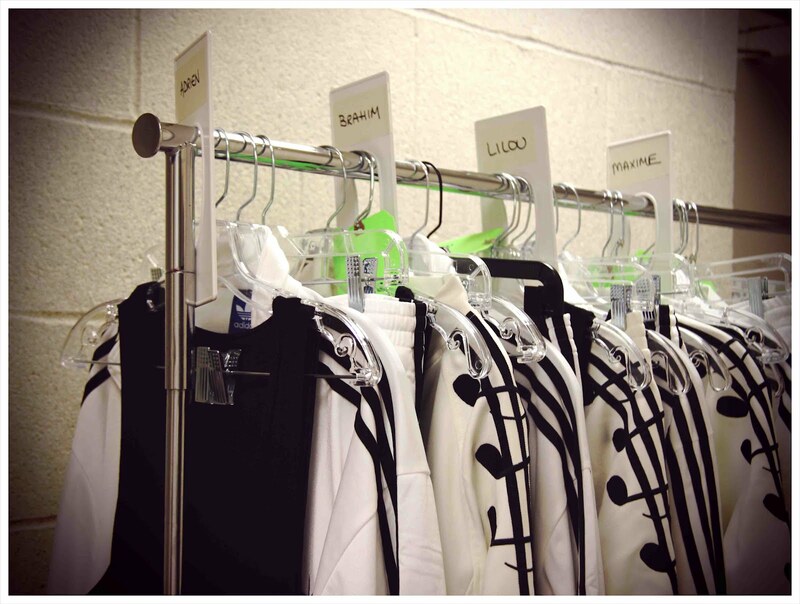 For more exclusive pictures you can check out Material Girl's Facebook and Twitter Accounts.